Congratulations! 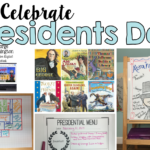 You are about to celebrate 100 days of learning with your students! You as the leader, teacher, and cheerleader for your students have accomplished a lot! Be proud of yourself and know that your students are 100 days better because of you. Now, it is time to celebrate!! 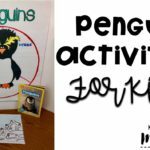 So, grab you a celebratory shirt, party hat or whatever floats your boat and prep some classroom fun! 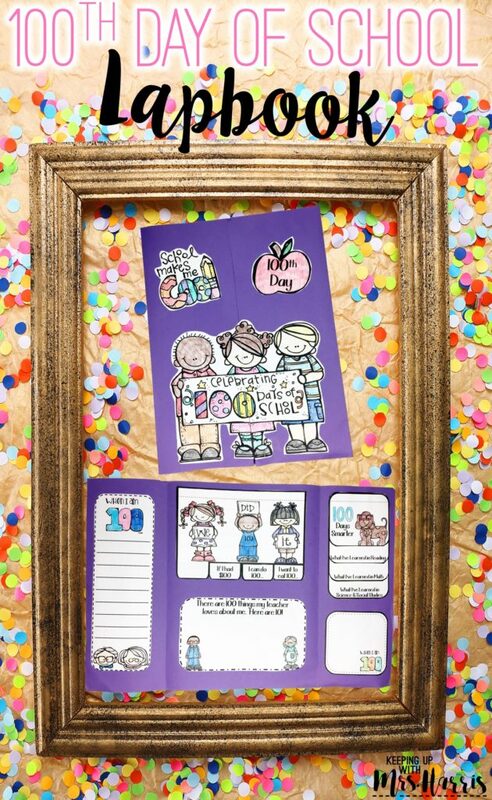 A typical 100th Day of School activity is to have students bring in 100 objects from home. I’ve never been a fan because most students either forget, or the items they bring in make a mess in the classroom. 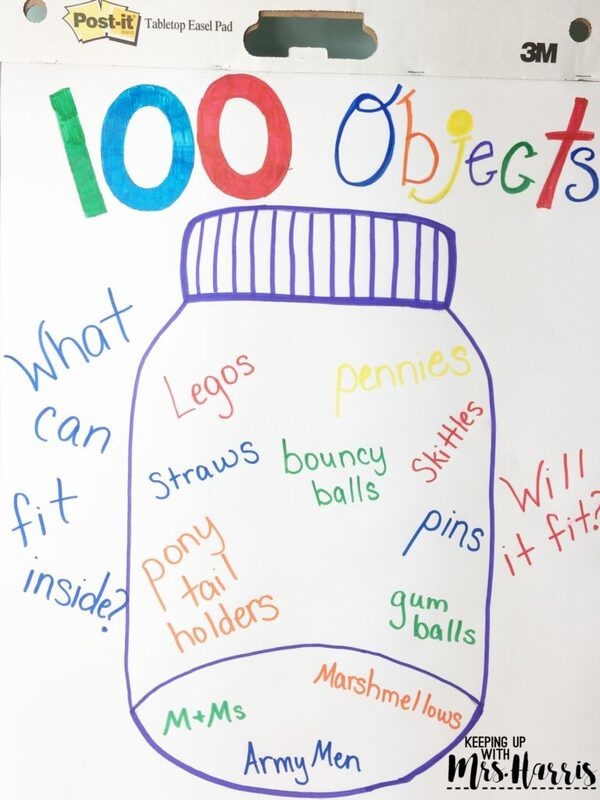 Instead, I like to bring in a large glass jar with random 100 objects such as bouncy balls, cereal pieces, army men, box cars, straws, Legos, candy, and more. I also bring in a few larger items (one or two is enough) such as stuffed animals, markers, shoes, etc. Then we create the following anchor chart together. We look at the jar, and then discuss if 100 of said objects would fit into the jar on the table. First, we brain storm (without showing my objects). Together we then explore and make a list on the anchor chart of items that 100 of would fit. 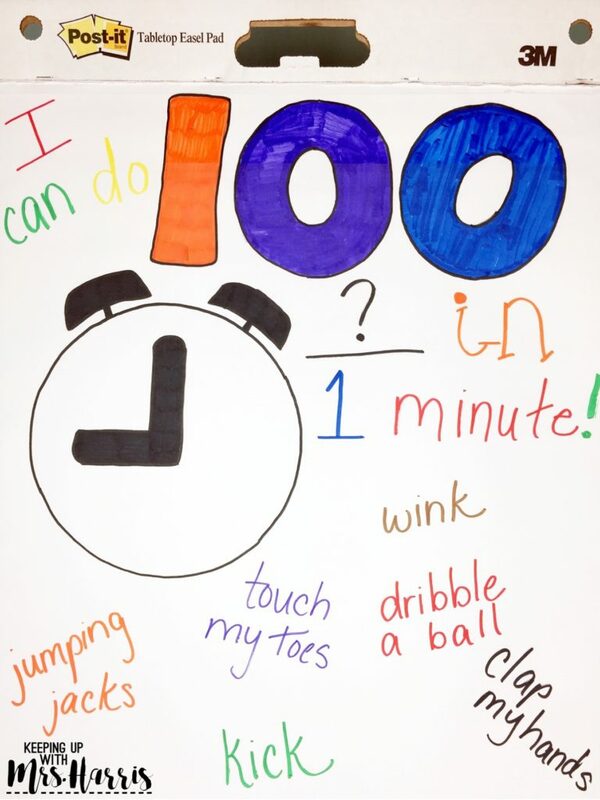 Another chart we enjoy doing is I can do 100 ________ in 100 seconds. To start this anchor chart, I set a stopwatch for 100 seconds, and we sit and think about the amount of time. Then, we test out activities that just take 1 second to complete (jumping jacks, skipping, winking, etc). We jot these down on our anchor chart together. Then at the end, I allow each student to pick one activity, and we test our “I can do 100 _________ in 100 seconds” theories. 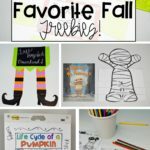 Kids get a kick out of it! 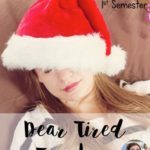 Take time to read with your students! Ask them what are some of their favorite books that you read together this school year. Encourage each student to name at least one book that they loved. Throughout the day, enjoy these three books together. 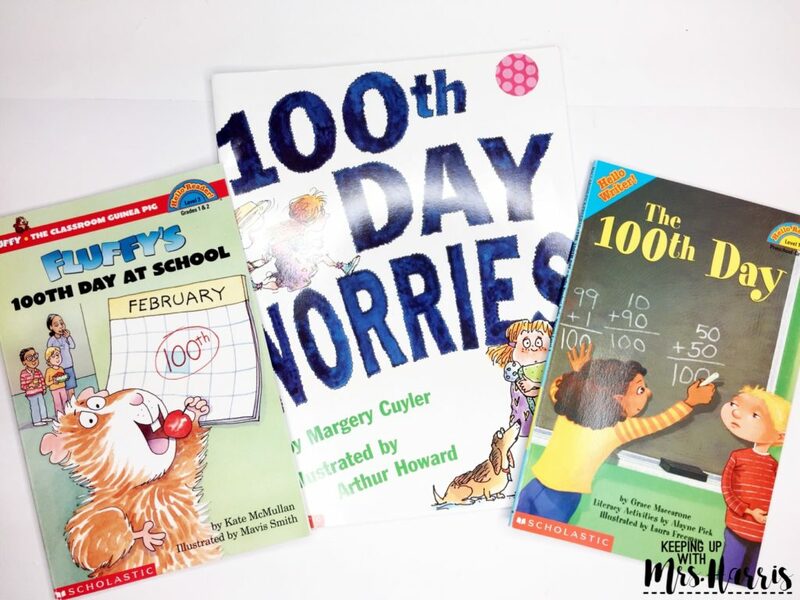 Fluffy’s 100th Day at School, 100th Day Worries, and The 100th Day are the best books to celebrate this milestone day by reading. We have one main project that we work on throughout the entire day. 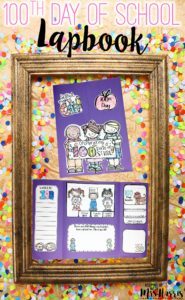 The 100th Day Lapbook is perfect for students to reflect on what they have learned for the year, share a few things that they know the teacher loves about them, draw pictures of when they are 100 years old and complete a writing on it as well. 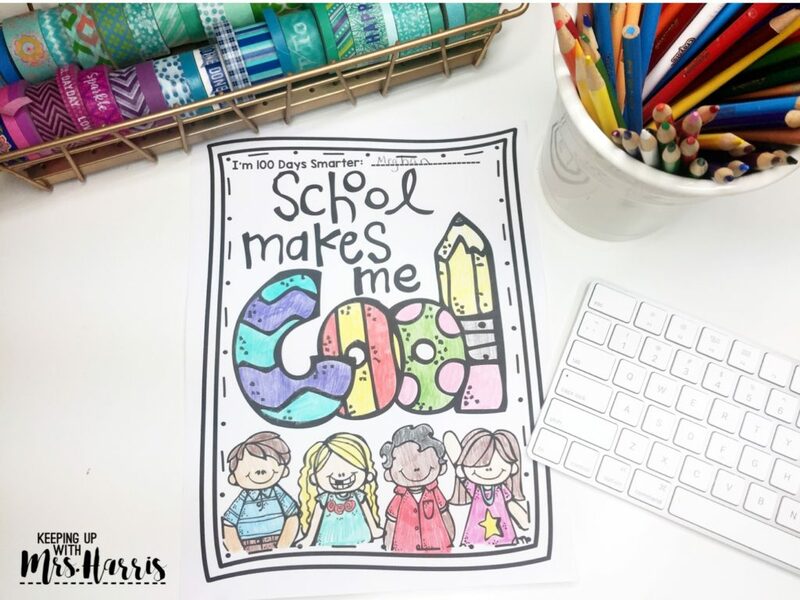 The coloring, writing, cutting and assembling of this lapbook will take a good amount of time, but the reflecting, making connections, and finished product definitely make it worth it! The students are always so proud of their finished lapbook, and their thoughts are amazing to read! To purchase this lapbook, click here! Looking for a little downtime towards the end of the day? 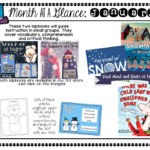 I love showing the movie 101 Dalmatians and allowing students to color this printable while they watch. This printable is also great for morning work if you need something else for the day. AND, IT IS FREE! 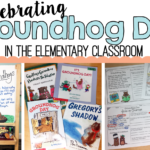 Now you have so many reasons to smile and be happy, but knowing that your students have accomplished so much in just 100 days together should fill your educator’s heart with gladness! 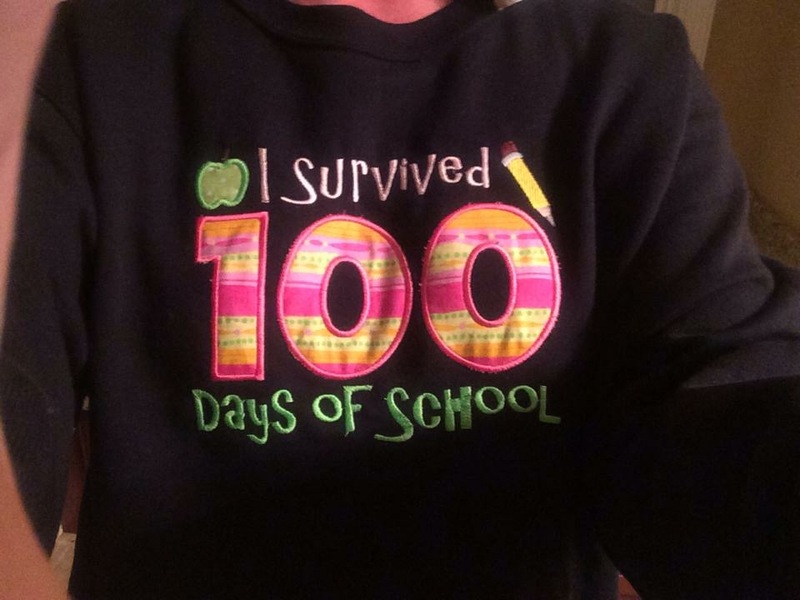 Happy 100th Day, educator! P.S. This post contains affiliate links to Amazon. By clicking on the links, I earn a few pennies of Amazon’s earnings to help with the upkeep of this website.